So…DREAMERS OFTEN LIE will be released TOMORROW. You can preorder it right now from Amazon or Barnes & Noble, or better yet, you can request it at your favorite indie bookstore. Best of all, if you’re in the Twin Cities area, you can come to the release party at the Red Balloon Bookshop in St. Paul (6:30 p.m., Friday, April 8) and eat cake, play Shakespearean Mad Libs, listen to the baby’s animal sounds, and get a signed and personalized copy of your very own. If you can’t make it to the release but want to know where I’ll be next, keep an eye on my events calendar; new things are being added all the time. “West’s use of quotes from Shakespeare’s various plays is restrained but perfectly timed, and her allowance for the characters to go off script offers both moving and humorous moments… Shakespeare’s characters really shine as they come to life in the twenty-first century.” Thank you, BCCB. The Minneapolis Star Tribune ran a review in their Sunday book section; you can read the whole thing here. Teen Vogue has selected DREAMERS OFTEN LIE as one of its “Best YA Books of April”; check out the whole beautiful list here. Brenda of Log Cabin Library was also kind enough to host me last week. Read my guest post about moving between middle grade and YA here. Now I shall say good night ’til it be morrow. 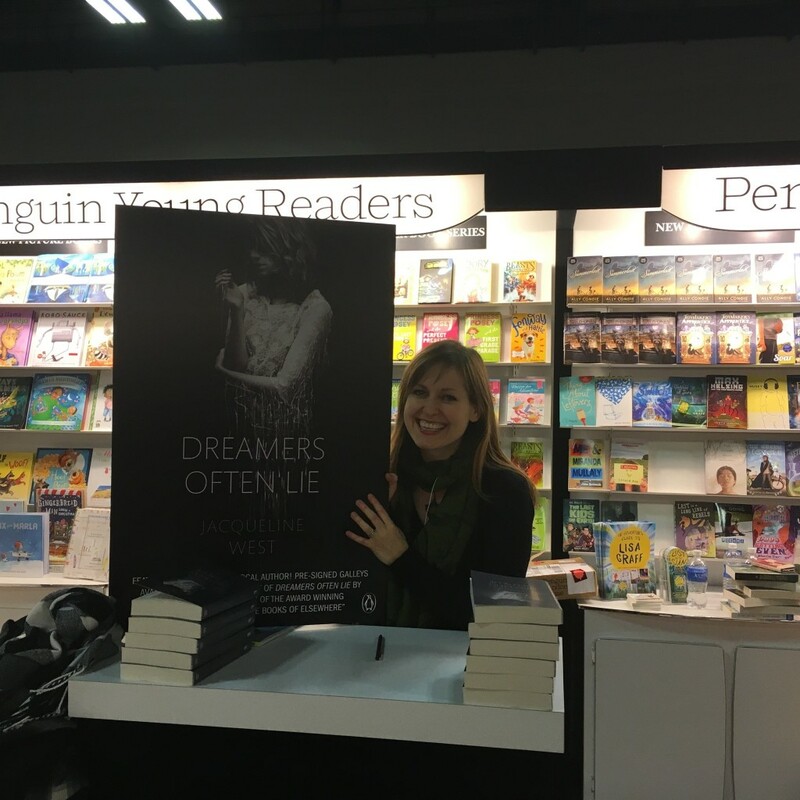 Last month, I attended the NCTE convention in Minneapolis, where I signed advance copies of DREAMERS OFTEN LIE, had fun at the Penguin/Nerdy Book Club cocktail party, and talked all things YA with teachers, librarians, and my amazing editor (Hi, Jess!). Here I am with the big DREAMERS poster that now lives in my home library and reminds me that this is all actually finally happening. My husband/home tech support/web designer/human firewall has been busy designing a page for DREAMERS on my website. It’s got preordering info, Shakespearean links and references (including a list of all the quotes used within the book), a theatrical glossary, and more. And it’s pretty. Go look. Jaye Stuart, the protagonist/star (she’d prefer that) of DREAMERS, is starting an Instagram account of her own. You can follow her at bluejaye.dramaqueen. 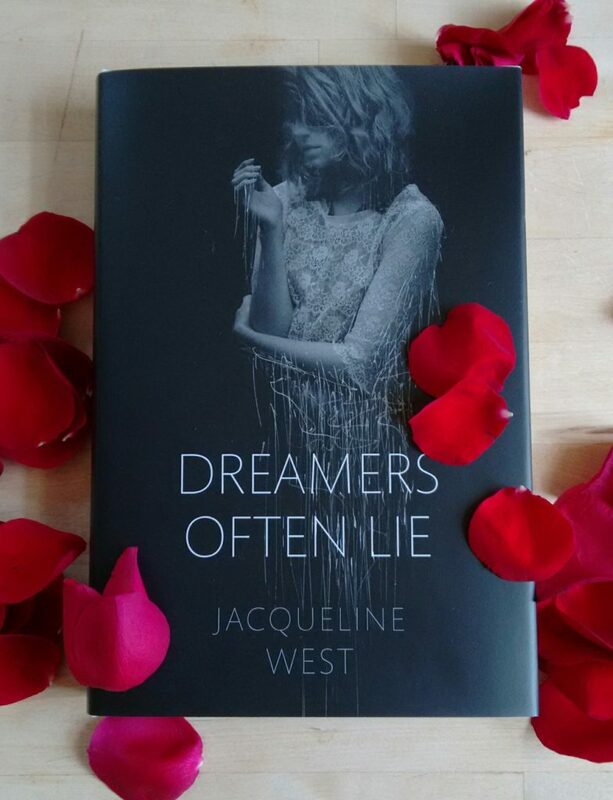 If you are a book blogger/reviewer who would like an advance copy of DREAMERS OFTEN LIE, you’ll find more info and a galley request form at http://penguinteen.tumblr.com/bloggers. My spring calendar is quickly filling with more events, including the much loved and recently revived Books & Breakfast (Saturday, February 13th, from 9:00 – 12:00). Visit the site for a complete list of attending authors, registration info, and more. There. Now off to make a fresh pot of coffee and decorate a Christmas tree. I’m overdue for a tour recap, but this is just a mini-post to spread the word that over at my main Facebook page (https://www.facebook.com/pages/Jacqueline-West/112573782122159?ref=bookmarks ) between now and noon on Halloween, you can enter to win one of two signed paperback copies of THE STRANGERS, along with some creepy books of my choice. Go forth and comment! Happy All Hallow’s Read! …before STILL LIFE is released. Actually, it’s not even one day. It’s one evening, one night, and the sliver of morning before bookstores open their doors. If you can’t wait that long, you can preorder it from your favorite bookseller (and IndieBound can help you find the closest shop: http://www.indiebound.org/indie-store-finder). Or, if you’re in my part of the world, you can come to Red Balloon in St. Paul at 6:30 on 6/17, Fox Den in River Falls, WI at 6:30 on 6/20, Valley Bookseller in Stillwater, MN at 2:00 on 6/21, or Wild Rumpus in Minneapolis at 7:00 on 6/21, to buy the book and get it signed by me. And I’ll be very happy to see you there. Samuel Johnson said, “A writer only begins a book. A reader finishes it.” And I 100% agree. Even though I was done writing STILL LIFE months ago, this week is when it’s going to finally feel finished. After tomorrow, people will be reading it. People I don’t even know. They’ll be turning the words into living pictures in their minds, and everything will have finally come to a close: the ideas traveling through paper and time and distance and transforming back into ideas again. It’s a truly awesome thing. The Pioneer Press just ran this wonderful piece on the series from beginning to end. 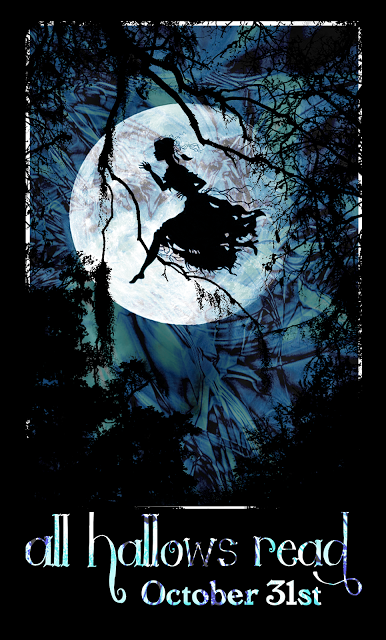 And Tor.com is hosting a giveaway of THE SHADOWS — comment between now and June 20th to win! 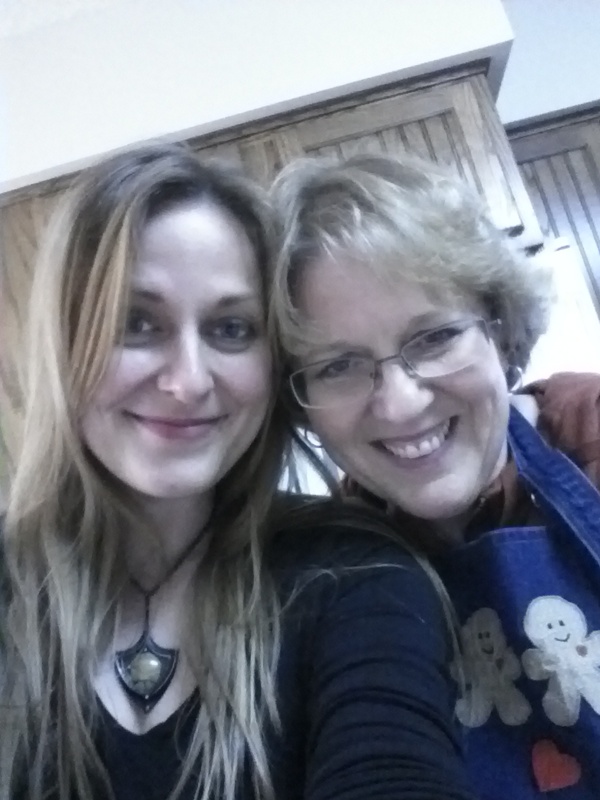 Lots of pictures, new links, and some more coherent thoughts to come. Til then: Thank you for reading. Thank you, thank you, thank you. October is my favorite month. Sweaters. Falling leaves. Cider. Pumpkin carving. 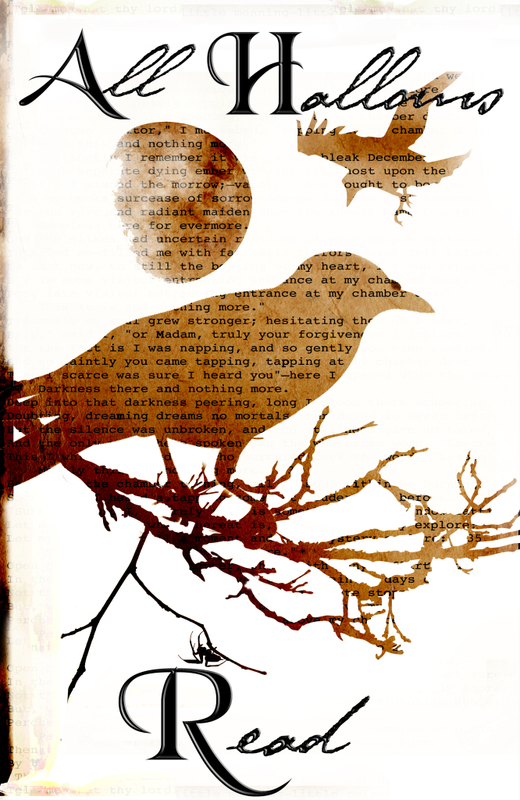 An excuse to read creepy books and watch creepy movies and scatter creepy things over every household surface. Over at my Facebook page, I’m asking readers to share their own favorite things about October. On Friday the 18th, I’ll pick a winning comment at random, and that winning comment-writer will receive a free signed copy of the new YA anthology STARRY-EYED (and I’m throwing in a signed ARC of THE STRANGERS too, just for fun). Go forth and comment/share! If you’re looking for some All Hallow’s Read books of your own to share, remember that you can catch me and THE BOOKS OF ELSEWHERE at the Wild Rumpus in Minneapolis at 1:00 on October 26th. Here’s a lovely new review of THE STRANGERS at Charlotte’s Library. 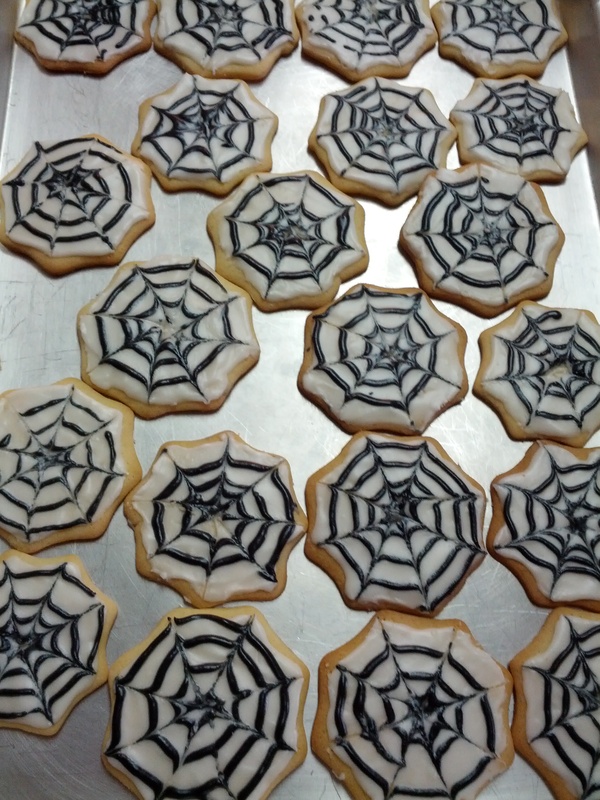 And finally, here’s me, my mom, and our spiderweb cookies. October: I love you. Thanks so much for sharing the stories of your favorite — and brilliant — Halloween costumes! Reading them made my day. The randomly selected winners were Taynia and Kim. Once they email me with their addresses (jacqueline@jacquelinewest.com), the books will be signed and sent. If you’re hoping to get a signature in a book of your own, keep your eye on my events calendar. New events are being added all the time. I’m currently digging into another round of revisions for Volume Five: STILL LIFE. Can’t believe the series is nearly done…but also really (really REALLY) looking forward to what comes next. More on that in the near future, I promise. Yesterday was THE STRANGERS’s 2-week birthday. I’ve been getting lots of wonderful notes from readers who’ve already finished it (and are tapping their feet impatiently for the next volume), which makes me feel happy and lucky and relieved. I know I’ve said it before, but if you are one of those who has finished and enjoyed the book, I hope you’ll consider leaving a review or rating at Goodreads, Amazon, B&N.com, whatshouldireadnext.com or another book site. That sort of response really helps. In celebration of these two crazy weeks, I’m offering two signed hardcover copies of THE BOOKS OF ELSEWHERE, VOLUME FOUR: THE STRANGERS, to be sent directly to the homes of two lucky winners and enjoyed (I hope) at their leisure. As those of you who’ve read it know, THE STRANGERS begins at Halloween — Olive dresses up as a jabberwocky, Leopold is the Duke of Wellington, Harvey is the Hunchcat of Notre Dame, and so forth — so, in the comments for this entry, describe your own favorite Halloween costume. On Wednesday, August 7 (one week from today), I’ll select two winning entries at random. Freezing rain and fog here in Minnesota, with the roads so treacherous that schools are closed. I’d much rather have an actual blizzard…but a flurry of words and links and news will have to do. 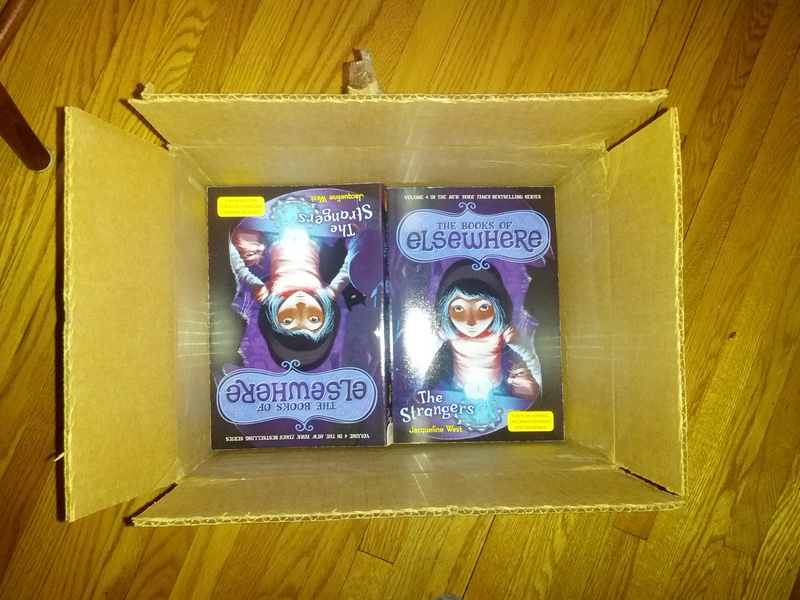 First things first: The advance reading copies of The Books of Elsewhere, Volume Four: The Strangers have arrived at my house in their excitingly heavy box! If you (or someone you know) is a book blogger or reviewer, and you would like an ARC of The Strangers, contact me in the comments or email me at jacqueline@jacquelinewest.com. Obviously, quantities are limited, but I will guarantee a copy for the first three reviewer-respondents. Speaking of book bloggers, two great reviews of The Second Spy appeared on Book Nut and Book ‘Em! Huge thanks to everyone who is spreading the word in this way. I learned that The Second Spy was nominated for the 2012 Cybils Awards, as well as for the Minnesota Book Awards. It isn’t a finalist for either, but both awards have been very kind to The Books of Elsewhere in the past, and truly fantastic books are on both lists. The Second Spy also got a mention (and its picture!) 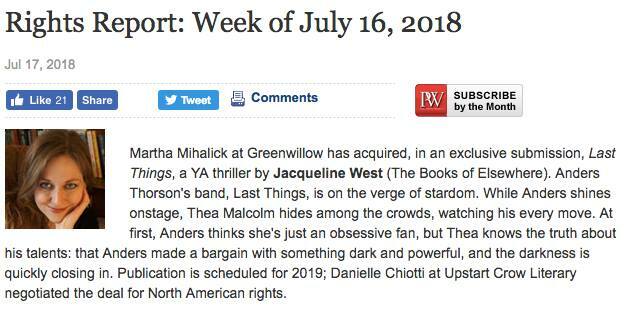 in Publishers Weekly, in an article on holiday book sales. My spring travel schedule is about to get really crazy, with more events being added all the time. Keep an eye on http://jacquelinewest.com/appearance-calendar.php, if you’re interested. This weekend, I’m off to booksALIVE! in Panama City, Florida. So long, freezing rain. Hello, Emerald Coast.